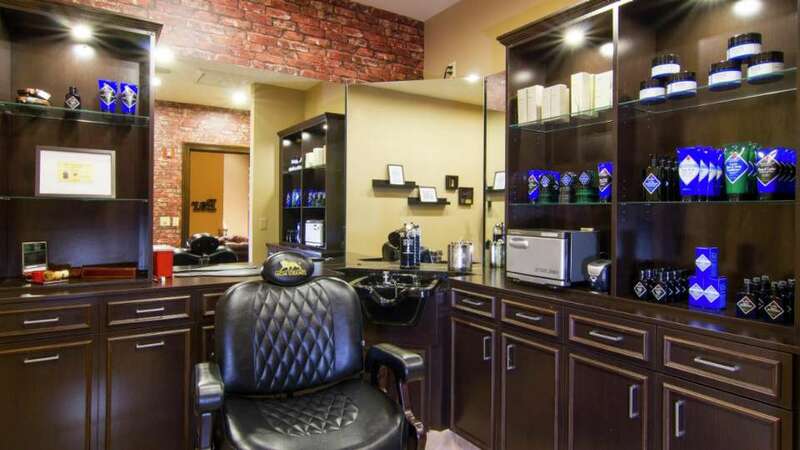 Located in the Grand Spa, The Barber Shop has an old-school vibe with modern luxuries. 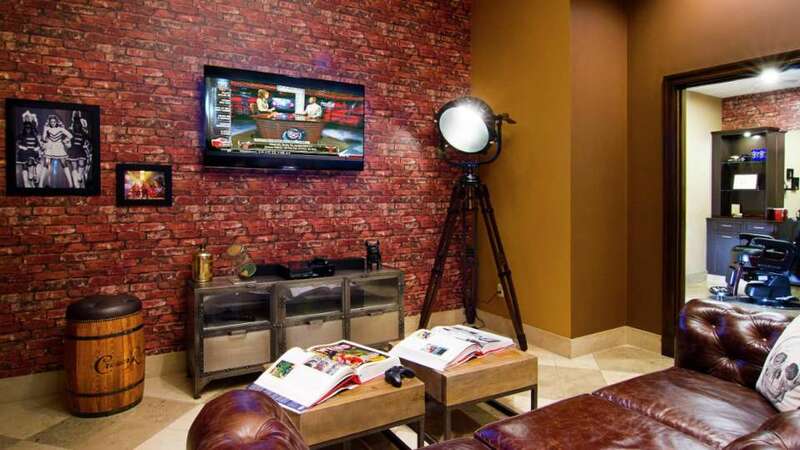 From the zing of a straight razor and vintage memorabilia – to a flat screen TV and an Xbox in the waiting area, this male-centric venue creates the perfect setting for relaxation and grooming. 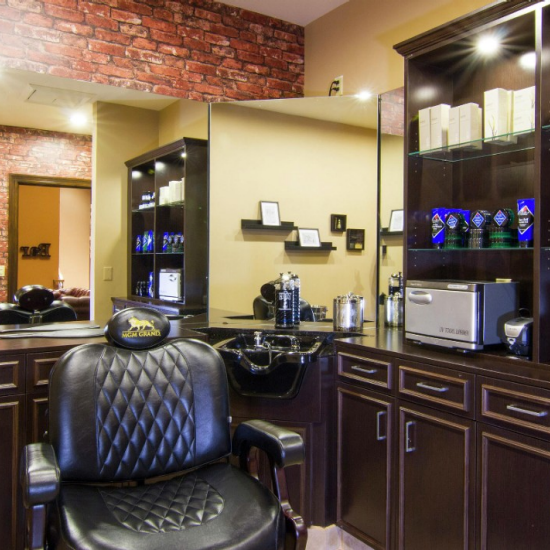 With a menu full of treats to entice the masses, cuts and shaves are not all the Barbershop has to offer. View all of our prices and services. gentleman’s shave with a men’s haircut. Relax as our skilled Master Barber uses hot lather and the precision of a straight razor to shave first with the grain, then the mastery to shave once more against the grain for closeness. 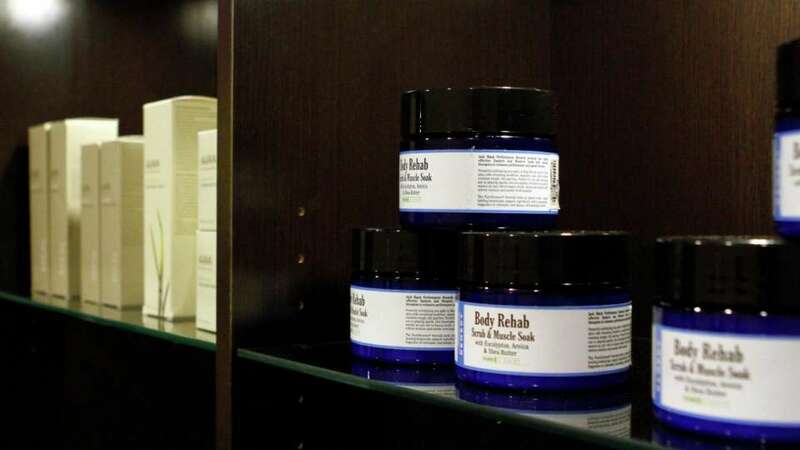 A hot towel infused with essential oil, followed by a soothing lotion will help to replenish the skin’s moisture. 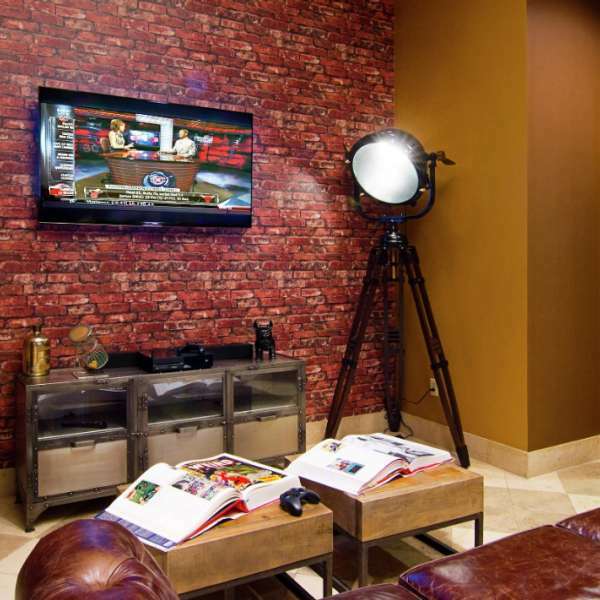 This luxurious grooming experience comes complete with a men’s cut and a gentlemen’s drink. Promised to put the man back in manicure, unwind as you sip a cold ale and enjoy an exfoliating hand massage. Complete with a nail and cuticle trim for a distinguished finish. Bourbon is not just for drinking. Our brown sugar and real Kentucky whiskey scrub whisks away dry skin before your nail buff and trim. Blended with a foot and calf massage that will leave your feet feeling smooth and refined. Using aloe and sage-enriched products, the Ultimate Facial Cleanse, combined with a relaxing facial massage, removes impurities from the skin for a smooth, hydrated and ready-to-shave complexion. Whether training for a bout or boxing for fun, this light pressure massage will promote blood flow stimulation and relaxation through your neck, shoulders and arms. Light touch or trigger therapy targets muscle groups in the calves, quadriceps and feet to prepare runners for peak performance. Focusing on your legs and arms, a pre-workout massage helps increase mobility, promote blood flow and warm up muscles for optimal performance. A targeted pressure massage helps muscles recover and reduces inflammation caused by exercise. 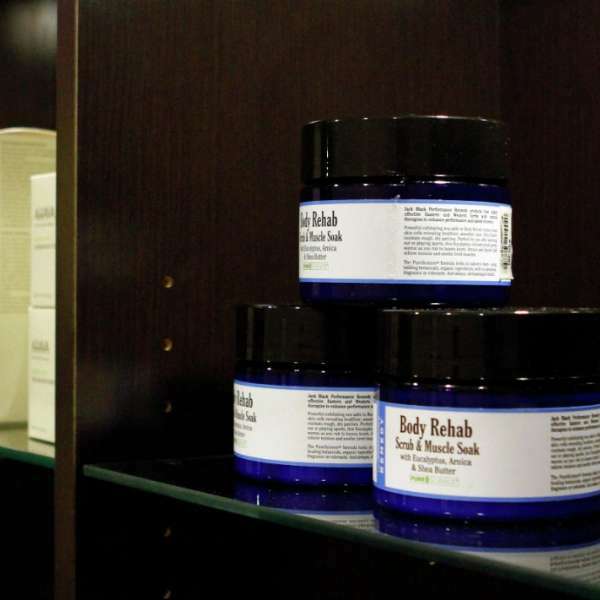 Using a menthol-enriched sports cream that speeds recovery with immediate and sustained post-workout relief. This bath is not for the faint of heart. Let the cold temperature of ice tighten blood vessels and flush out toxins. With eucalyptus infused water, those who can bear the initial icy shock will experience a shorter recovery time! The Barbershop is located inside of the Grand Spa, just past The District, near the entrance to The Signature. From the front desk, begin walking straight through the casino and bear right after The Lobby Bar. Walk straight toward the KA Theatre and then take a right toward The District. Walk through The District passing Shibuya, Hecho and CSI. Turn left just before the escalators and the Spa & Salon entrance will be on your left, just past The Signature entrance. From the Las Vegas strip walk through The Central toward the Buffet. Pass the Buffet, Beachers Madhouse and take a right at Avenue Café and then bear left before passing Lobby Bar. Walk straight toward the KA Theatre and then take a right toward The District. Walk through The District passing Shibuya, Hecho, and CSI.Turn left just before the escalators and the Spa & Salon entrance will be on your left, just past The Signature entrance. Grand Salon creates showstopping looks that turn heads.